Financing has never been easier, and our primary focus is always to make the process as simple as possible for the customer. Let us take the burden off your shoulders and know that we will find the best financing options available to you. If you are interested in financing, please take the time to fill out our online finance application. 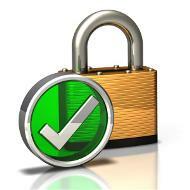 This application is safe, secure and confidential. Smithville Marine provides a complete program of financing assistance for new, used and preowned demo boat buyers.